For the first time since 2011 the two best teams in the country face off in a national cup final. For one manager the culmination of the Betfred Cup is simply a small step to grander riches ahead. For another, victory will cement legacy status. The reformatted League Cup has been a success, and aptly pits Aberdeen and Celtic against each other in a showcase final in front of an expected full house. Barely five months into employment at Celtic Park, Rodgers already has his first chance at silverware. 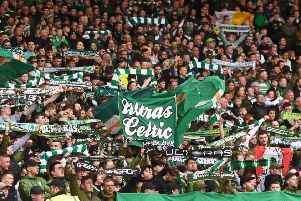 While the treble is always the aim for Celtic in their current position, the Northern Irishman has brought a feeling to the club that there are more illustrious occasions on the horizon. For Derek McInnes this is the opportunity to turn what has been a positive period into a golden era. Aberdeen will never likely get close to the halcyon days of the 1980s: Ferguson, Miller, Gothenburg, Hamburg, cups, leagues, success. For Aberdeen, alongside the Edinburgh duo, Dundee United and the ilk, competitiveness in the top-flight, sojourns into Europe and cup runs are realistic aims, while still retaining hopes and dreams of upsetting the Old Firm apple-cart. Despite warnings of Armageddon following Rangers’ demotion to the fourth tier in 2012, Aberdeen have been one of eight teams, other than Celtic, to win silverware in the last four years. None of the eight teams have been able to add a second trophy. Aberdeen could on Sunday. “I want to leave here on the back of an era of being successful rather than talking about a League Cup win that we won in 2014,” McInnes told BBC in a recent interview. The odds are stacked against his Aberdeen side, even if Rodgers is without Kieran Tierney and Scott Sinclair. In a short space of time Rodgers has revitalised a Celtic team which have been run closest by Aberdeen in the previous two seasons. Over a longer spell of time, and with much more work required, McInnes has rejuvenated an under-performing club which had to be recovered from a deep malaise. Aberdeen’s sizeable away contingent are often met with mocking songs, reminding them that they are no longer famous. McInnes may not have returned them to their previous stature, but he has certainly made them much more relevant. From finishing runner-up in the 1993-1994 season it has been a roller-coaster for Aberdeen with more lows than highs. From the bottom-placed finish in 1999-2000, to being knocked out of the UEFA Cup to Bohemians, to humbling cup exits to East Fife and Queen of the South. Disgruntlement and anger eventually eroded away to leave apathy towards the end of Jimmy Calderwood’s tenure. Former-Aberdeen great Mark McGhee’s time in charge was short and remembered for a 9-0 defeat at Celtic Park. He left midway through the 2010/2011 season, a season which would see average attendances drop to a paltry 9,072. The wily duo of Craig Brown and Archie Knox undertook a much needed resuscitation of the Dons but the process was slow and required the appointment of McInnes to complete the job, breathing life back into not only the club, but a one-club city passionate about its football. Coming in for the remaining five games of the 2012/201 3 season, with Aberdeen already consigned to a bottom-six finish, allowed McInnes to undertake a SWOT analysis of what he had to deal with. Clearly the former-St Johnstone and Bristol City boss wasn’t impressed; 13 of 14 out of contract players were moved on alongside others who were still under contract. Standards had to be improved. Not only the playing staff but the club as a whole, and chairman Stewart Milne had the ideal figurehead in place. McInnes feeds off high standards and hard work. Alongside his steely lieutenant Tony Docherty, the demanding 45-year-old whipped a flailing side into shape, adding much needed experience to the raw materials already at his disposal. Willo Flood and Barry Robson were key recruits, as well as the loan signing of Michael Hector. In the January transfer window Shay Logan and Adam Rooney were added. Half-way through the season and McInnes possessed the key components of a competitive side, many of which remain today. They were back challenging at the upper echelons of the league and progressing in the cup competitions. The quick recovery was complete in March 2014. Aberdeen lifted their first trophy in 19 years with League Cup success over Inverness Caledonian Thistle in front of more than 40,000 Aberdeen fans at Celtic Park. A defeat could have been cataclysmic, instead it was a catalyst. The cup double looked like it was on before an inspired Stevie May earned St Johnstone a win in the Scottish Cup semi-final. The season ended on a downer as Motherwell controversially pipped Aberdeen to the runners-up spot behind Celtic on the last day of the season. However, significant progress had been made in such a short space of time. More gradual steps were taken the following season as the Dons comfortably finished second, 17 points behind Celtic. A 13 match run without defeat led to suggestions that they could mount a notable title challenge. Eight straight wins to start the season raised hopes and expectations further, but four defeats in five, plus the eventual loss of Joel Ward between the sticks and Adam Rooney to injury curtailed any serious hopes of title success. They still pushed Celtic late into the season but without two of their key performers they couldn’t get close enough to a Leigh Griffiths-inspired Celtic. McInnes, unable to do business in the January transfer window, continued to rely on the same core of players. Due to his particular recruitment in signing the right kind of character they proved good enough to see off the threat of Hearts to finish second, yet a disappointment was the performances in the cup. It would be remiss not to mention some of the criticism of McInnes. He can be seen as too hands-off, finding it hard to delegate past Docherty, while he appears to take time to place his faith in certain players. There is a reluctance to trust youth. Cammy Smith moved out on loan, Craig Storie looked promising last season but has seldom been seen this. Meanwhile, the precocious James Maddison has been left out of big games. Yet, in the grand scheme of his tenure they are small issues. A lot of the club’s recuritment has been excellent, and there are few managers in the country more switched-on than McInnes during the game. Pragmatism can be seen as an unfavourable characteristic in a manager, yet the very best coaches are just that. Rarely do you see him move from the sidelines, looking to stay one step ahead of his opposing manager, moving players like chest pieces. Thanks to the players at his disposal the can be flexible within different systems. At times the attacking fluidity appears to restrict the Aberdeen players more than it confuses the opposition, but when the Rooney, Niall McGinn and Jonny Hayes all enter the same intersection of the Venn diagram they are a thrilling watch and near unstoppable. For Aberdeen to create a cup upset and breach what has been an impermeable Celtic backline of late they will have to find that sweet spot, perhaps with the help of Maddison. Inspiration is there in recent years with four wins in the last 30 months, and they may want to go back further to the 80s and summon the spirit and attitude of Ferguson’s teams who made the journey south to Glasgow with a bravado. Ferguson is one of only two managers with a better win percentage than McInnes; win on Sunday and he has every right to be considered for a place in the hall of fame alongside one of football’s greatest ever manager, having led the club to more than one trophy. McInnes wanted the city to fall in with its team again. He has done that. If the trophy is being paraded along Union Street again, fans will be head over heels, and McInnes’s legacy will have been crystallised.